I come￼ from a wide inside-business background, bringing more than 25 years’ experience in management, leadership and organisational development roles in both private and public sectors to my executive coaching, career coaching, mentoring and consulting work. Some of the approaches I use are described here. I am also a contributing writer for AFR.com on leadership and emotional intelligence issues where I expand on my mission to help individuals and organisations thrive in complex, challenging environments (recent example here). MBA (Australian Graduate School of Management, UNSW), postgraduate studies in psychology and the neuroscience of mental health (current, King’s College London), Graduate Diploma Management Sciences (University of Canberra) and Bachelor of Economics (University of Tasmania). 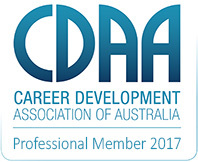 Credentialed Member International Coach Federation (ICF/PCC), Certified in The Leadership Circle assessment, Professional Member Career Development Association of Australia (CDAA), accredited Strengths Profile R2 (formerly Realise2) Individual and Team Practitioner (Centre of Applied Positive Psychology, UK), Certified Organisational Coach – Levels 1-3 Institute of Executive Coaching and Leadership (IECL), Immunity to Change Facilitator Workshop training with Dr Lisa Lahey.